One of the most essential skills of any leader is the ability to influence others by shaping their opinions and inspiring their actions. For some, influencing others comes naturally. For others, it may require a bit more effort. 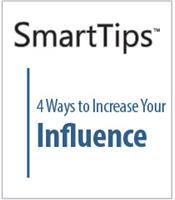 In this SmartTips video, we look at four ways to increase your influence. 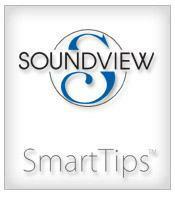 Have a great idea that is sure to help out the company you work for? This SmartTips video gives you tips on how to perfect your idea and prepare for any questions that your boss may throw at you. Need a fresh perspective on how to improve your business? 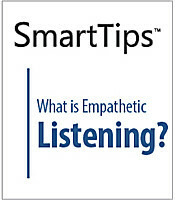 Try asking your customers for suggestions. 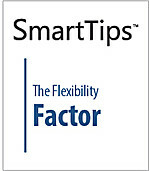 This SmartTips video lays out five different questions to ask your customers that could give you insight on how to better meet their needs and promote your business. 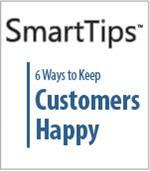 The bottom line for keeping customers happy is to remember the golden rule. Do unto others as you would have them do unto you. If your customer feels cared for and satisfied, your business will thrive. 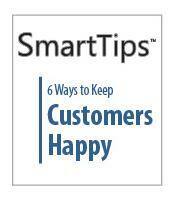 Learn 6 ways to keep customers happy in this SmartTips video. There's more to retaining customers than simply having a great product. Customer loyalty can't be taken for granted. It's earned as a direct result of your actions. Improve client relations through this SmartTips video which includes the 6 essentials to customer loyalty.